If you think that paying $749 on an iPhone that features an LCD screen, comes with a single camera on the back and without 3D Touch is just too much, you may be wrong. Because as Goldman Sachs analyst Rod Hall notes, the iPhone XR is priced too low and it could affect Apple’s earnings, especially as it’s expected to cannibalize other iPhone models. 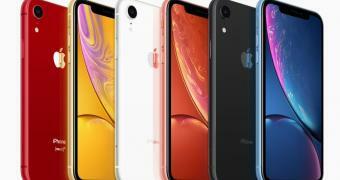 Hall originally predicted the iPhone XR, which has often been referred to as the “affordable iPhone,” would be priced from $849 in the United States. While from a consumer perspective the iPhone XR could be considered a very expensive purchase, Apple should have priced the device higher, Hall explains, as otherwise, the average selling price is likely to drop in the coming quarters.